During four days that followed the January 2010 earthquake, Gerald Clerge lay in a makeshift morgue, until a nurse realized he was still alive. One of his legs had been crushed and was amputated. Six months before the earthquake, Gerald, a civil servant, had borrowed money to build a third floor on his house, which he intended to rent out. When the earthquake struck, he still had 12 payments to make to pay back his loan, a collapsed house, and no income from renters to help pay back the loan. The two top stories of his house were completely destroyed, leaving only a badly damaged ground floor where he lived until mid-2012. At that time, Build Change engineers were evaluating damaged houses in Gerald’s neighborhood to determine whether they could be retrofitted. Retrofitting is the process of bringing a damaged house up to earthquake-safe standards by addressing the damage and by making changes which strengthen the overall structure. Build Change engineers approached Gerald to discuss how to retrofit his ground floor, and how to build an earthquake-resistant second floor. Gerald set about designing his house with help from Build Change, and quickly understood why the engineers insisted the second story have the same footprint as the first floor. 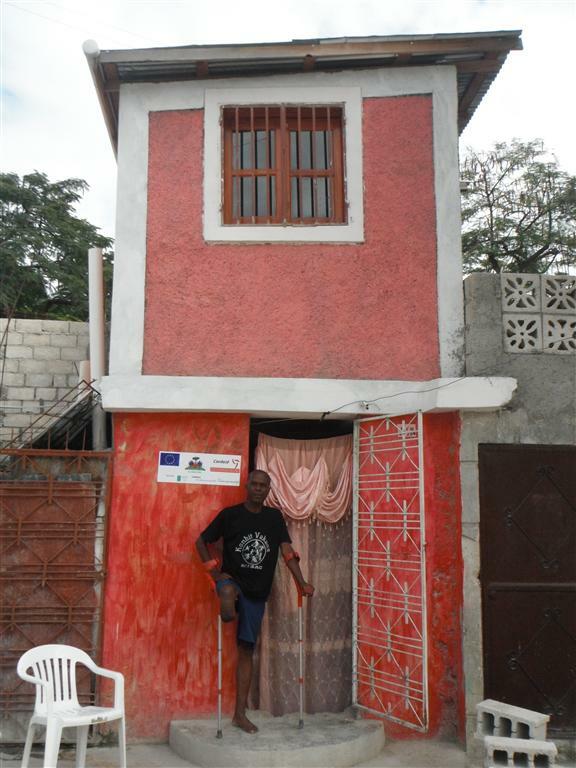 Many buildings in Haiti have upper floors which jut out past the first floor’s walls, which creates a top-heavy and unstable building. Cordaid and Build Change recommend that upper floors not be larger than the floors below it. 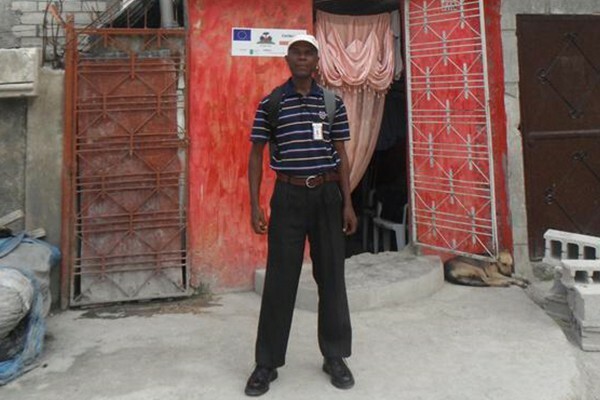 Gerald received $3,500 in funding subsidies from project partner Cordaid to conduct the retrofit of his house himself. He contributed an additional $400 to the project. Gerald managed the retrofit of his house according to the design he and Build Change had agreed upon, under the supervision of a Build Change engineer.